Cross-section of a helmet using the WaveCel technology. A new safety helmet design has been launched using material that is designed to crumple and glide to dissipate rotational forces in a fall. The WaveCel technology used in the helmets is a collapsible cellular material that works by going through a three-step change in material structure on impact to absorb energy before it reaches the user’s head. It is described as a flexible dome inside the helmet that naturally conforms to different head shapes. WaveCel replaces traditional EPS (expanded polystyrene) foam with layers of cells designed to move independently until the cell walls crumple and glide. The material is the brainchild of biomechanical engineer Michael Bottlang and orthopedic surgeon Steven Madey, who wanted to solve the problem of traumatic brain injuries in active people. It is the first advanced helmet technology to receive funding from the US National Institute of Health. Madey and Bottlang have collaborated for 25 years, pioneering advances in fracture care, thoracic and pelvic trauma, and head injury prevention. WaveCel, which is created in Portland, Oregon, is currently exclusive to cycling helmets from Trek and founder Keith Bontrager, but is likely to be used in other types of helmets, including those for horse riders and skiers, for example. A study published in the journal Accident Analysis and Prevention compared helmets using WaveCel with traditional helmets and those with a Multi-Directional Impact Protection System slip liner. Four impact conditions were tested, including vertical drop tests onto an angled anvil. Three helmet types with identical outer shell and liner thickness were tested: A) Standard EPS helmets; B) helmets with a slip liner for mitigation of rotational acceleration; and C) helmets with a cellular structure for mitigation of linear and rotational acceleration. Impact locations corresponding to the 30°, 45°, and 60° anvils are denoted by red dots on sagittal cross-sections. The researchers, from the Legacy Research Institute in Oregon and the Institute of Fluid Mechanics and Solids at the University of Strasbourg in France, said the results were limited to a narrow range of impact conditions, “but demonstrated the potential that rotational acceleration and the associated brain injury risk can be significantly reduced by the cellular WaveCel concept or a slip liner. Results obtained under specific impact angles and impact velocities indicated performance differences between these mechanisms”. But claims by the makers that WaveCel can reduce the chance of concussion by 48 times over standard foam helmet inserts have been questioned by Swedish company MIPS, the makers of the MIPS Brain Protection System (BPS), which is sold to the global helmet industry. “Preliminary test results of WaveCel helmets by MIPS cannot substantiate these claims. While further testing is warranted, MIPS cannot see that the helmets perform in a way that the claims Bontrager/WaveCel makes in the comparison between WaveCel and other helmets/technologies. Trek has four helmets on the market that use WaveCel. 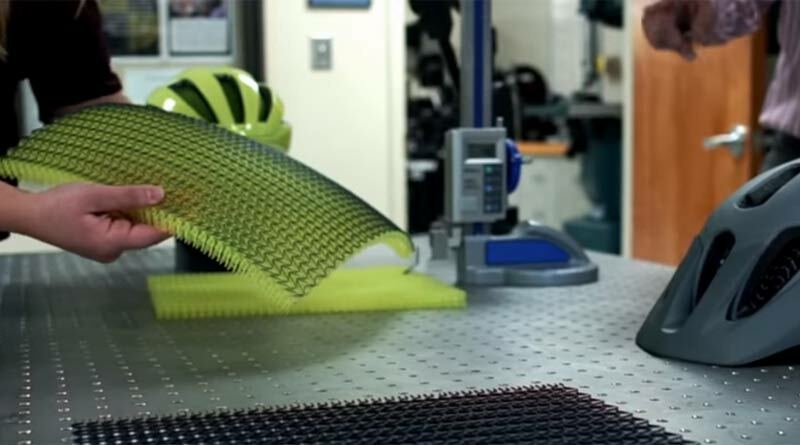 Evaluation of a novel bicycle helmet concept in oblique impact testing. Emily Bliven, Alexandra Rouhier, Stanley Tsai, Rémy Willinger, Nicolas Bourdet, Caroline Deck, Steven M. Madey, Michael Bottlang. The full study and be accessed here.